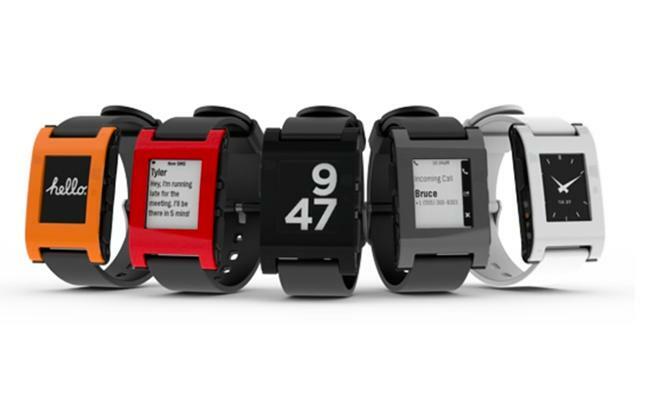 Devices like the Pebble smart watch will gain increased capabilities with iOS 7 and OS X Mavericks. Apple on Thursday revealed that iOS 7 and OS X Mavericks will grant developers the ability to have applications send data to connected Bluetooth devices without needing to have the application open and running. This will improve the capabilities of Bluetooth Smart products, negating the need for user intervention in order for devices and apps to function as intended. The new device capabilities are possible now thanks to Apple granting access to the Notification Center and the Preservation and Restoration services. The development will likely be a boon for devices like the Pebble smart watch and the FitBit Flex, as well as other Bluetooth-enabled accessories. The State Preservation and Restoration service determines why an app was terminated and will allow iOS 7 to continue running the app's features until it is relaunched or needs relaunching. Speaking on the matter, Bluetooth SIG CMO Suke Jawanda said he is optimistic regarding its impact on the connected accessory industry. "The ultimate winner here is the consumer," he said in a statement, "whose Bluetooth Smart products for Apple will 'just work.' By investing in deep Bluetooth integration, Apple made it much easier for its developers to create great Bluetooth Smart products to connect with Apple devices." Jawanda believes the increased API access will allow developers to experiment and innovate without worrying about "how to implement the plumbing of the code." Apple has been building Bluetooth Smart capabilities into most of its products since the introduction of the iPhone 4S in 2011.This year will likely see about 250 million Bluetooth Smart devices shipping worldwide, and shipments will approach one billion by 2016.